You are currently browsing the Guidance for Growing blog archives for November, 2012. Sign up for our new treatment group! Being in a group therapy setting means having several other people cheer you on and help you set and achieve goals toward your recovery. Another member in your group might bring up a challenge with which he or she is dealing. You might have an identical problem, only you see the problem from your own perspective. When looking at someone else’s situation, you might see your own issue in a new light. Suddenly something that was very challenging has an easy solution. 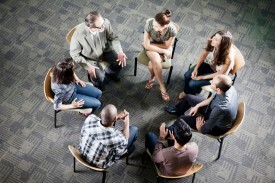 Working in group therapy is a great way to experiment with new behaviors. You can “try out” new ways of thinking and relating in a safe environment before going out into the real world. You will quickly abandon the idea that you’re alone in your feelings and thoughts. It’s likely that several people share your experience. 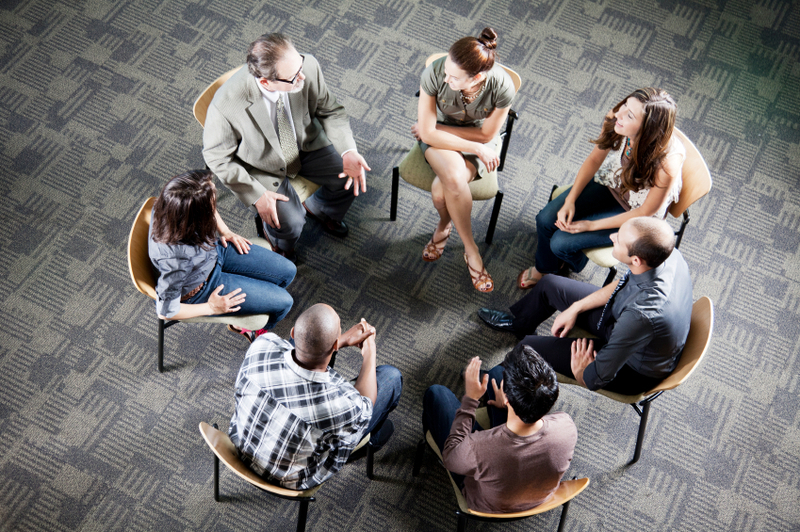 Working with an group of people is one of the most natural ways to overcome a problem, including an alcohol or other drug problem. We work together with others at our jobs and in our families. Humans are built to learn and grow in the presence of others — why should therapy be any different? Group has been a core aspect of alcohol and other drug treatment for decades, because it’s proven to be extremely effective. Guidance for Growing is currently running a Tuesday night group at 6:45pm [2/26/13 edit: new day and time TBA) in our Souderton office. Contact us for more information and to sign up: mikaela@guidanceforgrowing.com or (215) 421-1634. Please note, if you need to complete alcohol and other drug treatment to meet a legal obligation, this group can be used to fulfill that requirement, as we are a state-licensed facility. >>> Do you have questions about your alcohol or other drug use? We provide completely confidential assessments and free consultations. For more information contact Mikaela or Jason at info@guidanceforgrowing.com or (215) 421-1634.